You are here: Home / IT careers / The truth about Consultants! Let’s talk about Consultants; what (who) they are and what they do. I’d also like explore some of the myths and misconceptions about Consultants, and why some of the bad press might be justified! I will start with some broad definitions before focusing on some specific traits and behaviours of IT and Management Consultants. To consult – that’s fine, we all impart knowledge, that’s how most communication works. However, the Latin root, ‘consultare’ the verb meaning to discuss is not necessarily how consultancy happens. It suggests a two- or multi-way discourse intended to explore a topic or to seek agreement. The expectation, rightly or wrongly, is than the expert (or experts) in the consultancy are well informed individuals passing on their knowledge and expertise in a particular domain or subject matter. And the outcome is some advice or proposed solutions, possibly to be compared with other options, weighed or verified against some criteria (such as cost, impact or benefits), and then accepted or not. The implication is that the consultation is a pre-cursor to the implementation or execution [phase] where the advice is acted upon. Services are closer to what happens in a lot of cases in IT and commercial environments, i.e. 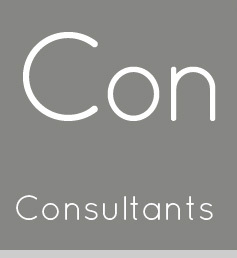 the consultant or parent consultancy organisation both offer a solution and the people/resources to implement it, for example interim management, hybrid temporary contractor/consultant roles, re-branding, marketing or more general strategy planning. If you want to meet legal or regulatory demands, improve processes (establish best practice), or otherwise reorganize or transform your business – systems, technology or people – the C word is often the first and only consideration of senior management. And what of the fees, erm, that’s part of the perception problem, external Consultants can and often do charge a premium for their services, particularly for specialised, rare or a hot subject matter (what day-rate could a Data Security Consultant charge after high profile bank hacking!) 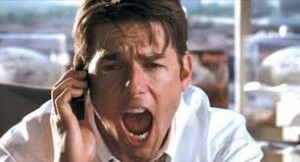 or where the benefits or potential losses are high, say, tax advice or corporate take-overs (Mergers & Acquisitions). In a lot of industries the nature of the expertise is explicit in the role or job title, for example, a Consultant/Consulting Civil Engineer or a Human Resources Consultant. However in IT, business transformation, finance and commerce a generic ‘Consultant’, or maybe ‘Management Consultant’ or ‘IT Consultant’ covers a lot of specialisms. (1) Do you really need the services; can in-house staff gather and apply knowledge, i.e. acting as internal consultants. There may be factors such politics, sensitivities, security & [lack of] objectivity, which demand an external agent, but be clear why you are going down a particular route and what, if any, alternative approaches are available. (3) Consultants may have a tough job to do in some cases, but they should still act with empathy, recognise that they may find a very different culture in the host organisation, and put a premium on good communication, that is, be as open and inclusive as possible. (4) As with any bought-in services think about the start and end of engagements to maximize the value to all parties and increase the chances of repeat business, as appropriate. 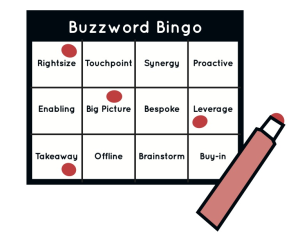 (5) Be careful about jargon, buzzwords, confusion and obfuscation, and this applies to other roles in the table of IT elements such as Business Analysts, Project Managers, Developers and Testers. There is often a specific language associated with a Consultant’s work, but that’s no excuse for lack of clarity or verbal laziness! Captain BA likes sailing and he likes to use nautical phrases like steering the ship, and keeping a firm hand on the rudder The IT Elementary School is a team and he isn't really the Captain, but he is committed to bringing you learning material and insights into the world of IT and computing. He has a wide and diverse experience in IT projects, consultancy and commerce to share. Captain BA is an accomplished toastmaster and compiles cryptic crosswords under the pseudonym Haddock(7).